Thirsty Pilgrim: Raise Your Glass to Session Beers. Maybe every young geek of my generation can remember a particular moment when they turned to craft beer forever (tell us about yours!). Mine came on a particularly thirsty evening in college. Someone gave me a cool bottle of Boulevard Tenpenny. A bready and hoppy version of the British bitter style, it was loaded with flavor yet fully thirst-quenching. It also happened to be 3.3% strong, made mainly for the state of Kansas and its reactionary liquor laws. Whatever its origin, it met my needs and pointed me in a new direction. Boulevard has since retired that beer and moved on to more successful beers of mainstream strength. But I hope they bring the Tenpenny back one day. It might happen. Now, I'll refrain from suggesting that sessionable beers are an up-and-coming trend, since people have been drinking them for years and years and years. Still, it's worth noting that the inimitable New York Times has just done this piece on quaffers with relatively low alcohol. The NYT will bring it to the attention of a lot of people. Many of them will be thirsty geeks who are secretly tired of overhopped and overboozed strong ales. Insert prediction here. 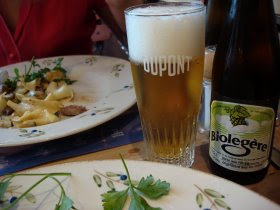 I've got two easy favorites in this genre, and the NYT names one of them: Dupont Avril, better known here as Dupont Biolégère. Maybe they changed the name so Americans wouldn't have to type the accent marks. The other favorite I'm sure I've raved about before: The Senne brewery's light but hoppy Taras Boulba. Great from the bottle and unbeatable on tap. I'll note their Stouterik also weighs in at 4.5%, while their upcoming lambic-infused Saison will check in at 4.3%. 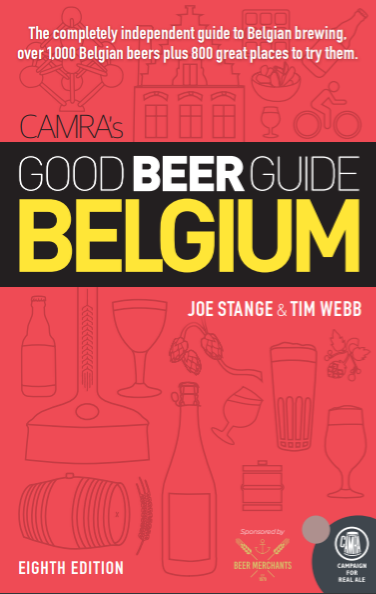 By Belgium's boozy standards, we're talking bantamweights. Enjoy them while you can. It's still August, usually one of the hottest months of the year across the U.S. Here in Belgium it's already looking like fall. That dark, strong, warming stuff is just around the corner.